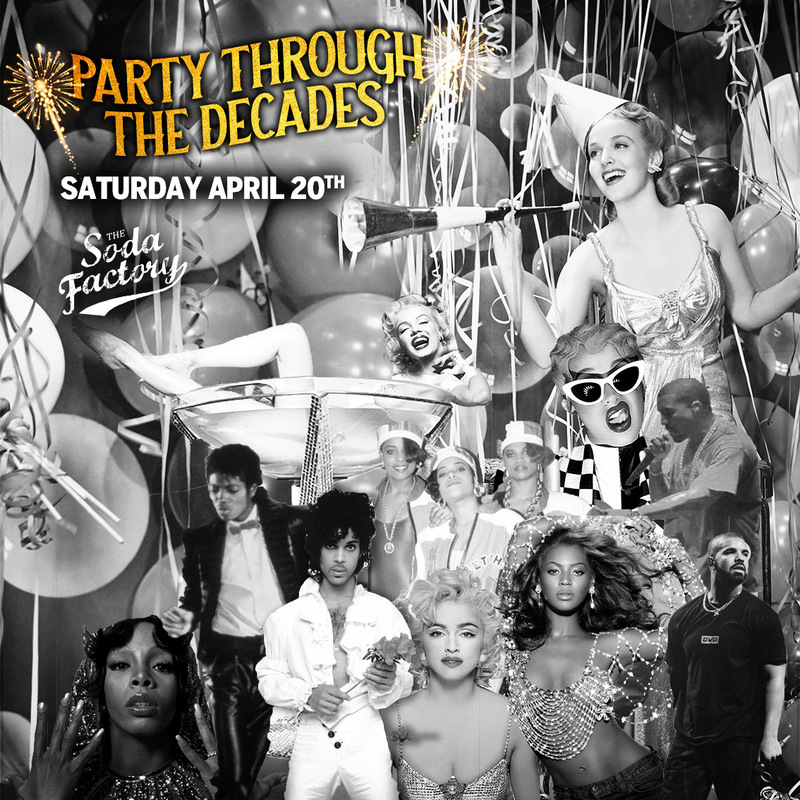 Who’s ready to shake it through the decades over Easter Long Weekend!? Save the date for Saturday, April 20th and get ready for a night to remember! Soda’s favourite resident DJ’s will be spinning through all your favourite bangers. Starting off the night with some Jiving & Bopping to 50’s & 60’s jams, Disco Dancing through the 70’s, Moonwalking through the 80’s, Grinding through the 90’s, and POP LOCK & DROPPING it with a fat side of twerking to the 00’s! !